Online Casinos are currently a good stock to buy, according to a recent report. Online casinos are something that many people enjoy playing just to relax. While it indeed is a relaxing pursuit many people who gamble get lucky and have some money coming their way. Online gambling has been compared to those who dabble in the stock market, because the spread is erratic and up and down much like gambling would be. The slot machine was made to be purely a random number so pure luck has everything to do with playing the slots. Individuals who lose millions on the stock market and then at the end of the day come back again have been compared to gamblers. But like the stock market, if research is done sometimes your luck will change somewhat. Moreover, there has been recent news that says that gambling casino stock can be a good investment. Investing in online gambling operators was a good move until it was ruined by the changing U.S. Laws in 2006. PLAYTECH, GTECH, and 888 Holdings have gambled on the industry and it has paid off very handsomely for them. They recently offered their initial public offering and they have done very well. Many individuals have purchased holdings from these companies and they are now doing well because of it. One firm that was written up to be doing very well was a company called Glu Mobile which is a developer of Mobile Games. 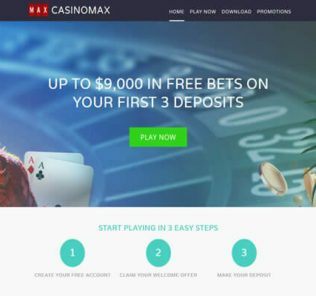 The company teamed up with another firm called Probability and developed its first offering for the UK Casino Market in 2013. This company has also been selected as a good buy within the stock market for those who are looking for “a cheap but good” casino stock offering in 2014. This company releases its video games internationally on various platforms, including Android, iOS, Google Chrome, Windows Phone, and Amazon. Glu Mobile embodies the “Freemium” module, which offers games totally free to individuals who want to play with them. They generate revenue by utilizing micro transactions within the game at a dollar and 99 cents or less. Glu CEO Niccolo De Masi recently announced that the Glu platform would be moving into the adult gaming world of online casinos and stated that “We anticipate that real-money gambling will continue to gain momentum globally and believe that with this offering, Glu is well positioned to capitalize to the extent that additional markets adjust regulations,” Glu Mobile is well-positioned to be a good stock pick and to generate a very healthy amount of revenue through their initial entry into the world of online gaming. Individuals who play online gaming will find continued enjoyment through this firm and signs only point to continued growth for this gaming company.